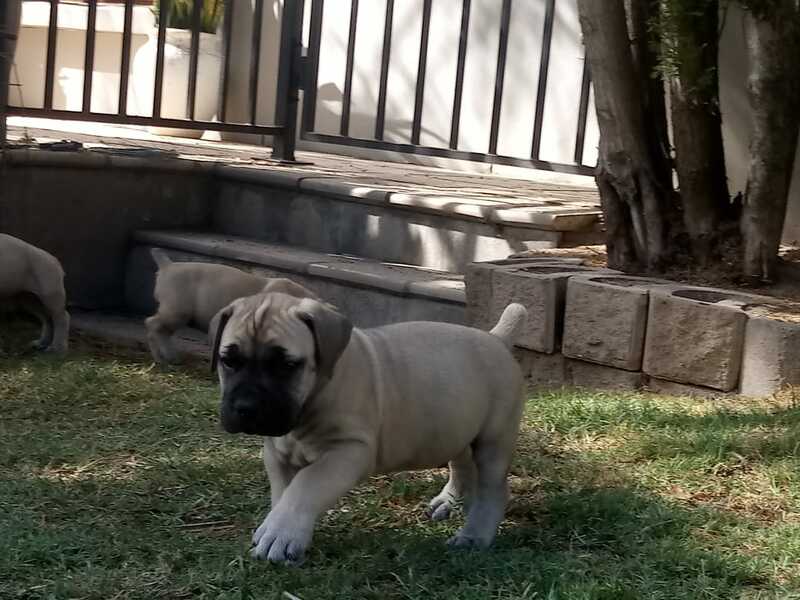 Beautiful boerboel puppies born 28 January 2019 now available to go to new homes. All puppies fawn with black mask. Parents are from pure Voorslag bloodline and SABBS registered. Puppies are dewormed, innoculated and microchipped. Price R 7500 each.